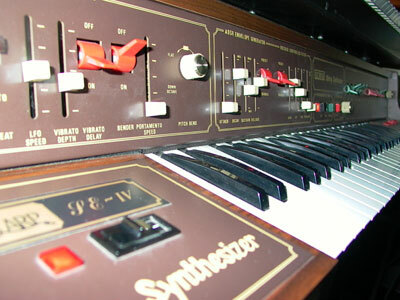 This is a hybrid model which combined both the Solina String Ensemble and the ARP Explorer monophonic synthesizer. It was built in Bodegraven, Netherlands. Supposedly only about 100 were ever produced. 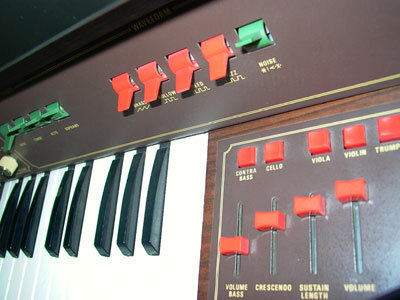 The addition of the ARP Explorer to the Solina string sounds made for a very powerful combination. This may be an incomplete manual. If someone has additional pages, please let me know. 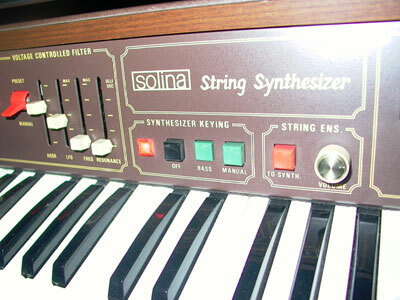 If anyone has anymore information or photos of the Solina String Synthesizer, please email me so I can add them to this page.